Siding is the first layer of protection for your home from critters, snow, moisture and rain. Want to upgrade the appearance, security, and strength of your home? Fortunately, the answer is simple — call the trained siding contractors from Renco Home Improvements today for comprehensive and affordable siding work on your home. In fact, whenever we have a siding project to tackle, whether installation, repair, or replacement, we approach the project with three values in mind: beauty, durability, and sustainability. Oh, and we provide roofing and gutter services as well. 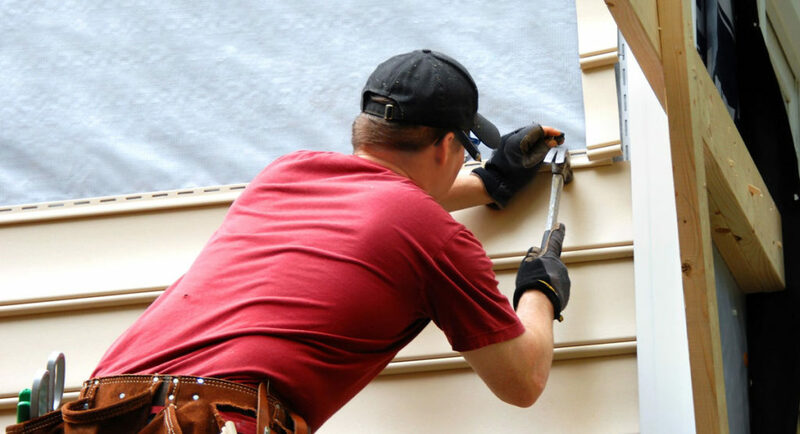 No matter if there was a recent storm or you’d like to upgrade the entire exterior of your home, the trained siding specialists from Renco Home Improvements will get the job done (while always working within your budget and our initial price estimate). We also provide expert and experienced-backed advice on colors and design, working towards ensuring a beautiful home that you can be proud of, year after year. To speak with one of our technicians about your home’s siding and exterior, call our Ottawa home improvement office today by dialing (613) 859-2228. Get a siding estimate today.